Hope, you are quite well and daily preparaiton for Competitive Exams. So you should know about Upcomimg various Job exams date.Are you looking that topic? then, this site is the best place for you. 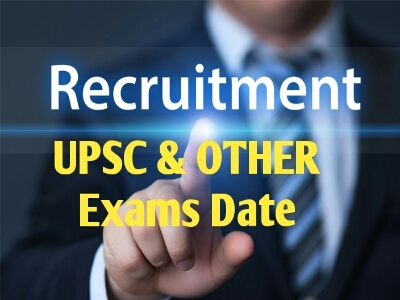 Here, GK Solve share Upcoming UPSC and Other all indian job exams date list. Its help to you for your batter practice.In this topic you know about 2017-18 upsc and all indian other job exms date.So read carefully this topic. Hope, it is helpfull for you.